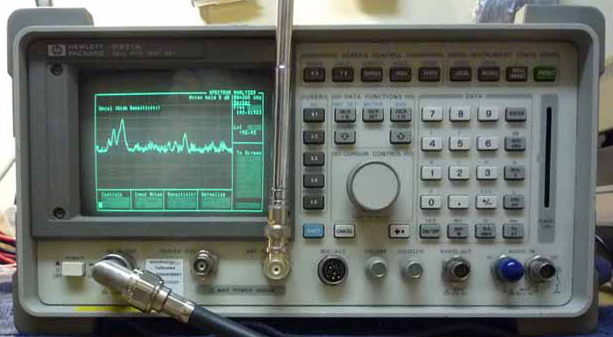 An RF signal generator is without doubt one of the most useful instruments one can have in one's shack or home RF lab. It is indispensable for receiver alignment, and for the measurement of receiver performance criteria such as sensitivity, dynamic range, reciprocal mixing noise and so forth. A signal generator with a high RF output (0 dBm or more) can also be used as a test signal source for transmitter alignment, and as a local oscillator for evaluating mixer designs. The least expensive choice in the military surplus or second-hand market is a tube-type generator. Typically, this type of instrument consists of a Colpitts or Hartley oscillator with a high-Q bandswitched tank circuit. As it is a simple free-running oscillator, its spectral purity is excellent, often with close-in phase noise < -140 dBc/Hz. Frequency stability and accuracy are acceptable on the lower HF ranges, but may be problematical above 20 MHz. Frequency repeatability is limited by the fact that the oscillator tank circuit is bandswitched. These generators are fitted with a variable attenuator (the better instruments have a step attenuator, a fine level control and a level meter). Modulation: AM is usually provided, with FM in some VHF/UHF units and pulse in some military generators. The internal modulating frequency is usually selectable on several discrete frequencies (typically 400 Hz and 1 kHz) or continuously variable (e.g. 100 Hz - 10 kHz). The modulating signal may be used as an audio source. Most signal generators allow external or internal modulation. RF leakage is generally very low, and can be checked by terminating the output in 50 ohms, placing a receiver with a short wire antenna nearby and attempting to pick up the generator's signal. The power-supply section should incorporate a voltage regulator, at least for the B+ (H.T.) supply to the oscillator section. A gaseous regulator tube is typically employed. Replacement tubes can be a problem for some generators, which use an exotic pencil triode as an oscillator. The 955 acorn triode is also encountered, and is still available at hamfests, surplus and tube dealers, etc. Prices can range from $75 to $300, depending on condition. Figure 1. HP 608A VHF/UHF Signal Generator. Part 2: Solid-state signal generators (non-synthesised). Here, we will take a brief look at solid-state RF signal generators. Some designs are based on a tuneable oscillator; more elaborate models feature a PLL which locks the oscillator to an internal or external frequency reference. More recent instruments, based on a PLL or DDS frequency synthesiser, will be considered in Part 3. 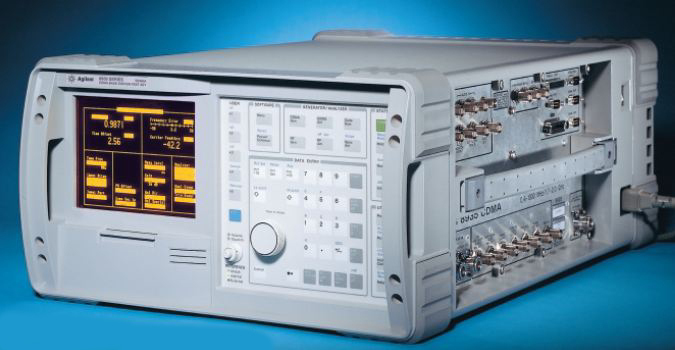 The best-known tuneable solid-state RF signal generator is the HP 8640B series. The 8640B has been a real workhorse over the years; it is still fairly common on the second-hand market. Frequency coverage is 500 kHz to 512 MHz (1024 MHz with doubler option.) Phase noise is very low, typically -135 dBc/Hz at 10 kHz offset. Most versions are fitted with an internal crystal reference and a phase-lock (synchroniser) feature, which allows the user to lock the frequency to the internal or an external reference. The output frequency is displayed on a built-in counter. Other options are variable modulating frequency (Opt. 1), a doubler which extends the frequency range to 1024 MHz (Opt 2), and 50W reverse-power protection (Opt. 3). Internal/external FM and AM modulation, plus external pulse modulation, are standard. The avionics version (Opt 4) has 10 and 1 dB step attenuators, and a precision modulating tone source for specialised avionics testing. Options 1 and 3 are easily retrofittable. A precision step attenuator and fine level adjustment allow setting the output level over a wide range (+20 to -140 dBm). The output voltage and power are displayed on a meter. The price of the HP8640B ranges from $400 to $1500, depending on condition and options. The military version (Opt. 323, AN/USM-323) fetches $400 to $800, depending on condition. This version does not have phase-lock, but does offer pulse modulation as well as AM and FM. Opt. 323 is packaged in a characteristic yellow high-impact transport case with a watertight cover. Points of failure which have been reported in the HP8640B are the custom hybrid output amplifier, the cavity tuning mechanism, the bandswitch contacts and the nylon drive gears. Figure 2: HP 8640B Opt. 3 signal generator. Part 3: Synthesised signal generators. Next, we will consider RF signal generators in which the RF source is a frequency synthesiser, and also communications service monitors. The latter are combination instruments embodying the functions of an RF generator, an audio generator, a test receiver and a modulation meter. Some models also incorporate a spectrum-analyser function, making them a very convenient "lab-in-a-box". Examples of such generators (covering up to 500 MHz or 1 GHz) often encountered in the used market are the Wavetek 2407, HP 8656B, Fluke 6080A and Marconi 2018/2019, 2018A/2019A and 2022 series. A point to consider when shopping for an early-model synthesised generator is that its phase noise will be sufficiently high to degrade out-of-channel receiver measurements. For example: In the HP 8656B, phase noise < -114 dBc/Hz at 500 MHz and 20 kHz offset. The corresponding figure for the HP 8640B is -135 dBc/Hz (typical). The internal modulating oscillator may be set to one of several discrete frequencies; some synthesised instruments feature programmable modulating frequency. Figure 3: Marconi 2018A synthesised signal generator. The phase-noise performance of the Marconi 2018/2019 and 2018/2019A is equal to that of the HP 8640B, and superior at offsets < 200 Hz. Figure 4. Phase noise measured at 10 MHz, Marconi 2018A vs. HP 8640B. All these instruments feature keypad frequency entry; some versions are fitted with an IEC (GPIB or HP-IB) bus interface for computer control. The price range is $600 to $2500, depending on model, condition and options. The Wavetek 3000 and 3001 are inexpensive synthesised generators with thumbwheel frequency selection, covering up to 520 MHz. These units are optimum for casual receiver alignment and in-channel testing, as their phase noise is too high for serious out-of-channel or two-signal measurements. The 3000 and 3001 can be had for $500 - 600. All these generators feature a precision attenuator (often electronic), allowing level to be set in 0.1 db steps. AM and FM modulation are standard; some versions incorporate a programmable synthesised audio generator. Part 4: Communications service monitors and cellsite test sets. The exit of a number of US companies from the land-mobile (PMR) radio manufacturing and servicing industries has released many service monitors onto the used market. These can frequently be seen at hamfests, and are often competitively priced. Frequency range is usually 100 kHz to 500 MHz or 1 GHz. The simplest service monitor features thumbwheel frequency selection, and supports FM and PM. It can be configured as a signal generator with max. -27 dBm output, precision step attenuator and variable FM deviation (1 kHz modulating tone), or as a test receiver and deviation meter with -47 dBm squelch sensitivity (non-duplex). Options include a broadband preamp/output amplifier, CTCSS tone generator and internal battery pack. The Cushman CE-4, CE-6, CE-31A and CE-31B and the IFR 500 and 500A are typical examples. Prices ranging from $400 to $750 are typical. More elaborate models include AM capability, duplex operation for repeater alignment, reverse-power protection, a built-in RF power meter, a CRT monitor and spectrum-analysis capability. 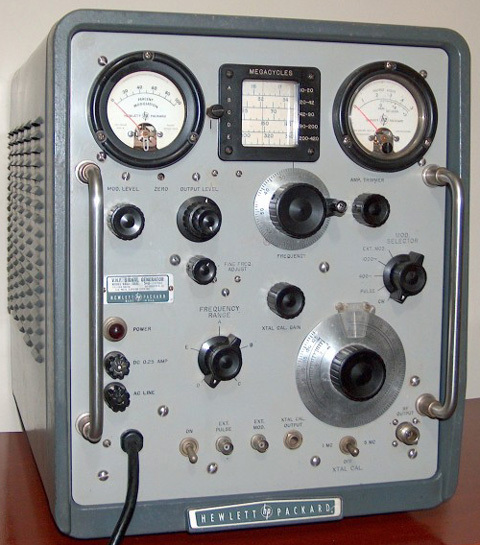 The Cushman CE-50, Motorola R2008, IFR 1200/S and Schlumberger 4031 are examples of such instruments. The HP 8920 series (now discontinued) is without doubt the pack-leader in this field, offering more capability and options than the instruments described above. Its phase noise is equal to that of a fairly good synthesised signal generator: better than -110 to -116 dBc/Hz at 1 GHz and 20 kHz offset. There are two versions: 8920A and 8920B. The replacement of older cellular (wireless) technologies such as CDMA and TDMA by GSM, and now G3/G4, has led to the "dumping" of many specialised cellsite test sets such as the HP/Agilent 8921A, 8924 series and 8935 (Series E6380, 6381) onto the surplus market at startlingly modest prices. The 8921A is, in fact, a fully-loaded 8920A with a 30 kHz IF (as opposed to 15 kHz in the 8920 series). It offers a full analogue/conventional service monitor feature set, including a spectrum analyser, receiver, RF signal generator, tracking generator, dual audio generator, audio oscilloscope etc. With the optional HP 11807A RFTOOLS software loaded, the 8921A also offers swept measurements such as gain/frequency response, insertion loss/frequency and return loss/frequency. The 8935 incorporates RFTOOLS as standard, including an RF power meter. It also features a bright, long-life electro-luminescent display. Datasheets and manuals for all these HP/Agilent instruments are downloadable free of charge from the Keysight website. Price range in the used market is $3000 to $6000 for the 8920A and 8921A, somewhat more for the newer 8920B and as little as $1000 to $1600 for the 8924 series and 8935. At this point, a word of caution is in order. When negotiating to buy any piece of test equipment at a hamfest, please ask the vendor to power it up and demonstrate that everything works! Many hamfest locales have a test bench, or at least an accessible mains supply, on the premises. Figure 5: HP 8921A communications service monitor. Figure 6: HP/Agilent 8935 E6380A test set. Toronto Surplus & Scientific Ltd.